Brickwork Investment Research Team supports sell-side and buy-side clients enabling them to outsource a major portion of their investment analysis process to us, while they concentrate their efforts on strategic decision making and spend more time with clients. Brickwork analysts are CPA/CFA or MBA, and assist clients in researching and analyzing various stocks by creating in-depth understanding on the company’s financial statements, products, management and other economic factors that have an implication on the stock performance. Our analysts can build and maintain client databases, help in ranking stocks, follow earnings releases, monitor company events and build financial models. 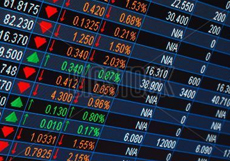 Brickwork analysts have experience in tracking earnings of over 2,000 listed stocks both US and global. Our analysts have followed an E.I.C. approach (Economy, Industry and Company), top-to-down and vice-versa and margin driven approaches in model building. We provide in-depth Financial Statement Analysis, DCF and relative valuation, as well as data collection and analysis support. Our value service chain also includes drafting Investment Memorandum as well as company and sector reports.